While the end of the year is not quite here yet (but rapidly approaching), now is an opportune time to take a moment and Your 2018 Taxes – Get Started Now. This is particularly necessary this tax year because of the changes to the tax law that became effective in 2018. 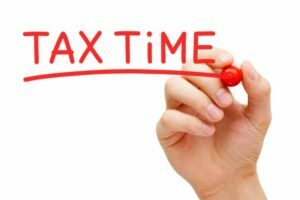 As a result of the significant changes in the law, your taxes may look different this year, so you should allow for some extra time in the preparation. Getting started early is even more essential if you are a business owner, have moved to another state, or plan to make charitable contributions before the year ends. With changes to the U.S. tax code now in effect, it is especially important to make the right decisions when it comes to your year-end financial moves. A skilled tax attorney or financial advisor can help explain your options under the law and provide you with guidance so that you can make the best decisions for you, your family, and your future. If you have any questions, feel free to contact us at (913) 871-2188.